Nothing can describe the energy that the Sun brings to your garden better than the face of a Sunflower! I love this angle! The petals look like the skirt of a dancer, vertical and ready for action! Fun! I meant to say horizontal! Need more sleep!!! You made my day! Thanks for the smiles! 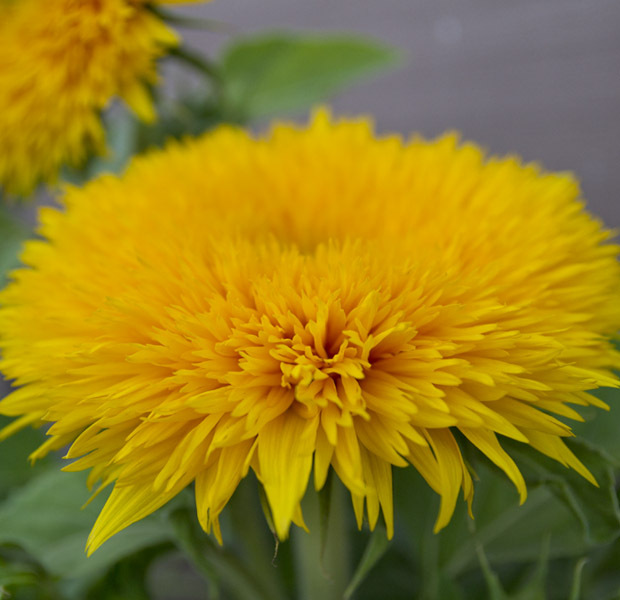 You’ve just reminded me to put some dwarf sunflowers on my plant list for 2012. Gorgeous! That yellow always brings a smile to my face. On these cloudy winter days, it is nice to see some sunshine! Beautiful Barbie. Sunflowers and the lowly dandelion are some of my favorite flower subjects, I think because they glow and radiate. Really nice macro and view.